New. Trade paperback (US). Glued binding. 256 p. Daughters of the Mayflower. New. Trade paperback (US). Glued binding. 256 p. Daughters of the Mayflower. In Stock. 100% Money Back Guarantee. Brand New, Perfect Condition, allow 4-14 business days for standard shipping. To Alaska, Hawaii, U.S. protectorate, P.O. box, and APO/FPO addresses allow 4-28 business days for Standard shipping. No expedited shipping. All orders placed with expedited shipping will be cancelled. Over 3, 000, 000 happy customers. Fine. Trade paperback (US). Glued binding. 256 p. Daughters of the Mayflower. In Stock. 100% Money Back Guarantee. Brand New, Perfect Condition, allow 4-14 business days for standard shipping. To Alaska, Hawaii, U.S. protectorate, P.O. box, and APO/FPO addresses allow 4-28 business days for Standard shipping. No expedited shipping. All orders placed with expedited shipping will be cancelled. Over 3, 000, 000 happy customers. New. 168322891X Special order direct from the distributor. San Francisco has been known for its periods of corruption. This was true during the time of the great Gold Rush, a very dark time in the city's history. The living conditions in tent communities was undisciplined and unhygienic. Prices of goods were unbridled. Human trafficking abounded, along with every manor of vice. Swindling and thievery were commonplace. This is the environment that Olivia Livingston Brighton, a young widow, found herself in as she sought her brother and his protection. Daniel Livingston, a Christian, honest businessman, and restaurateur, along with his best friend, Joseph Sawyer, also a Christian and an owner of a gold mine, worked diligently to improve conditions in their city, and to spread the truth of Christ. Olivia was welcomed into their lives and eagerly joined their efforts. Each of them were willing to sacrifice their lives in these endeavors. 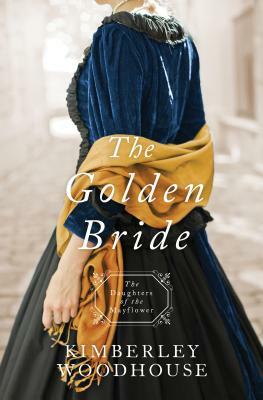 The Golden Bride is the latest installment in the Daughters of the Mayflower series. Readers will be happy to reflect on previous characters as Olivia is inspired by the words of her ancestors, Mary Elizabeth Chapman and Faith Lytton Weber, as she reads their journals which have been saved and passed down through generations of her family. Kimberley Woodhouse has given us another treasure to enjoy and truths to embrace within the covers of this book. I am happy to have received this book from Barbour Publishing via NetGalley in exchange for my honest opinion. I was under no obligation to provide a positive review and received no monetary compensation.